Unfortunately, there are a lot of potty training myths floating around -- about when and how to to do it – leaving many parents feeling that they and their children are failures if they don’t fit the neighborhood norm. Myth: Potty training should start by age 2. Truth: Not every child is ready then. “This is the myth that I have the biggest issue with. A child has to be physically and mentally ready to start potty training,” and that doesn’t always happen at a prescribed time, says blogger Petrina Burman, of thewalkingmombie.com. It’s not a competition, she says. “My son was too busy taking interest in anything but potty training at the age of two. We tried the potty a few times then, but it just wasn't something that clicked." They started again around 2 ½ years old, and now at age 3, he's still working on it. "Some days he does great and some days aren't so great, but all that matters is that he's improving. I see absolutely no need to force him in any way, and I'm not embarrassed to admit that." Myth: You can train in a weekend. Myth: Girls are easier to train than boys. Myth: If your child stays dry during the day, he/she will stay dry at night. The bottom line is that no two children are alike so why should they potty train alike? 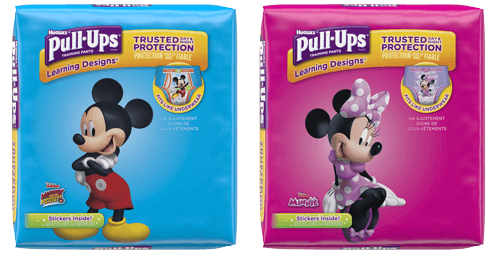 Potty training varies by child, family, and culture. Move forward when both parent and child are ready and keep your fingers crossed that your child is a quick study.